Complete driveway and parking lot asphalt crack filling services. Asphalt pavement is usually used for driveways, streets, and parking lots, so it usually carries a lot of weight from vehicles driving and parking on it. This constant weight can weaken the surface of your asphalt. This along with fluids from heavy rain, irrigation systems, and fluids leaved from vehicles will cause damage over time. It is time to take action once you begin to see cracks forming in your asphalt. These cracks can get worse very fast, which is why it is important to take action quickly. We here at Patriot Paving understand that it is important to respond to your calls quickly to ensure that we are doing everything we can to repair damaged blacktop surfaces. When choosing a contractor for your crack sealing services, it is important to choose someone with years of experience. We have been servicing customers since 1987, and our work shows it. 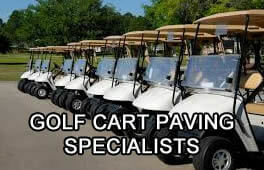 Our contractors can quickly assess your situation and recommend the best course of action that also fits your budget. Don’t trust a contractor with very little experience and call us for all of your crack sealing services.